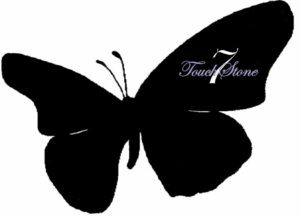 Support & Services - TouchStone7, Inc.
TouchStone7 refers to its support and services as “Cornerstones”. Each youth will be required to engage in the following eight (8) Cornerstones. These Cornerstones are comprehensive in nature and taken together will provide our young people with lifelong stability and the opportunity to be properly prepared for independent, successful lives outside of the foster care system. HOUSING. Long-term transitional housing will be provided. The length of stay will be determined by the youth’s stage in the transitioning process. Housing will be permanent in the sense that it will provide the youth a place to call “home” until they are adequately prepared to live and thrive on their own. COLLEGE READINESS. College preparation will be provided in the form of exam preparation for the GED, TASC, SAT, or ACT. Also provided will be one-on-one tutoring and assistance in understanding financial aid (e.g., scholarships, grants, and loans). COUNSELING. Licensed child and family therapists and social workers will be provided. Counseling will be a requirement for all youth, and will focus around dealing with the effects of living within the foster care system, transitioning out of foster care, and family relationships. MENTORING. Youth will be matched with a dedicated adult who will be available for support in the different areas of the youth’s life throughout their transition. CAREER PLANNING. Seminars and shadowing will include job skills training to allow the youth to experience a career they may be considering and assist in deciding on a future career. FINANCIAL PLANNING. Preparing for life as an adult requires the ability to maintain financial footing. Financial responsibility will be promoted. SKILLS for DAILY LIVING. Maintaining a successful daily life is important. Self-care and life skills training will be provided. COMMUNITY INVOLVEMENT. Being involved in the community will allow our young people the opportunity to make a difference in the lives of others. It will also provide them with a sense of accomplishment. TRANSPORTATION. This additional service will provide each youth with a NJ Transit monthly bus pass to help in daily travel throughout the area. Eligible youth will be assisted in obtaining their NJ driver’s license.